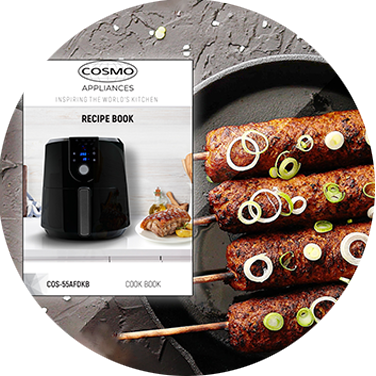 High-Speed Air circulation and heat technology to quickly fry food with 85% less fat than traditional frying methods, but deliver the same deliciously crunchy taste of fried food with little to no oil. 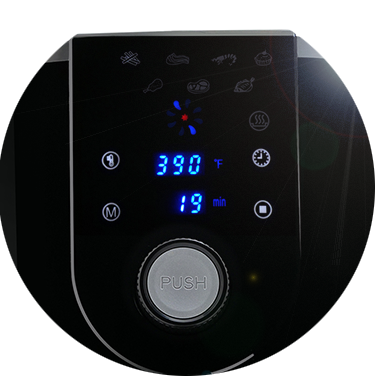 Built in sleek touch-sensitive control panel with 7 presets, just tap and go! Timer and temperature adjustments with control knob. 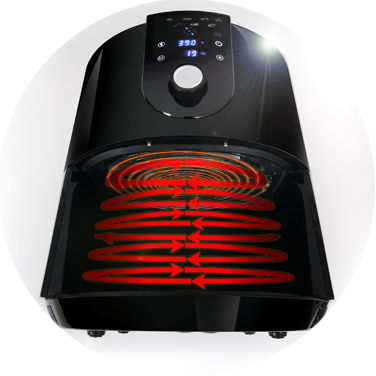 Equipped with a wide temperature range from, 180°F to 400°F. 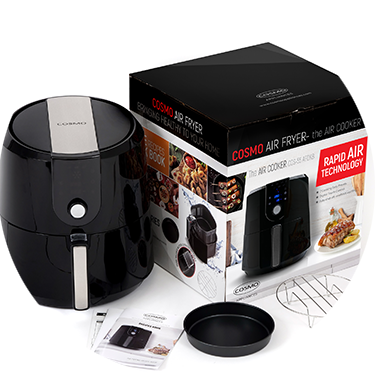 The Cosmo Air Fryer comes with a cookbook filled with nutritious and delicious recipes for a variety of meals including Spicy Asian Fries and Chicken Wings, even exotic recipes like Fried Lotus Root and Fried Calamari. Designed for hassle-free cleaning. 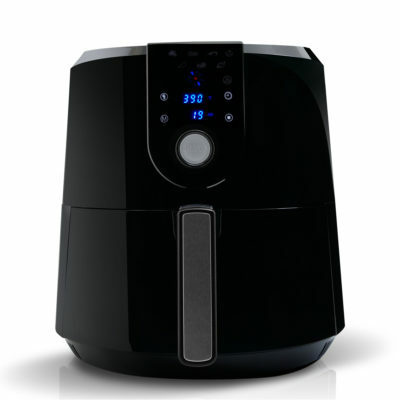 Quick and easy clean-up with non-stick coated parts of the air fryer conveniently sized to fit in the dishwasher.